Having started in the music business in 1985 whilst running UCT Radio and having worked in many facets of the business for over 30 years, I have seen all manner of performing artists strut their stuff. I am well aware that playing live is not only good for the soul; it’s also good for business. Lifetime relationships are forged. An ephemeral transaction occurs. The artist shows up, shares humbly and completely of his or herself, to be rewarded with loyalty and love. That’s the ideal, anyway. Their seems to be a genuine drive by promoters to create magical smaller events catering to the entire demographic, as opposed to trying to horseshoe the fan into a box and only catering for a specific genre of music. Lazy Sunday Jazz this Sunday in Trafalager Park, Woodstock; Franschhoek Cellars in December, where bands such as Prime Circle (December 18), Watershed (December 20) and Arno Carstens will be playing in a unique, unplugged setting – almost like a ‘VH1 Storytellers’; and then The Weekender in Arnistion from December 2 to 4. The unique lifestyle event that is The Weekender combines camping, food markets, live music and fresh air into one unforgettable experience. The family-orientated festival, which is in its second year, takes place for three days and features live music from some of SA’s most beloved performers. The line-up includes Mathew Gold, TopDog SA, Vicky Samson, Chad Saaiman and Amy Jones. There is a large emphasis on uplifting the community and surrounding areas, creating economic and social benefits. The festival focuses on collaboration with community stakeholders from Kassiesbaai. Arniston is a remarkable village with a remarkable story. It’s a great opportunity to go there for the weekend for a new experience. I foresee the opportunity for a unique exchange, between local community members and visitors. So don’t say you are lacking for inspiration to get out the city and to try something different with your family. At the historic bandstand in Trafalgar Park. This will be the fourth outing in Trafalgar Park, and aims to acknowledge and celebrate the past, present and future sounds of the Cape Jazz scene, featuring the musicians with roots to and love of this evolving, undefined genre of music. Celebrating friendships between our Athlone and Gugulethu homeboys will be special guests (currently Jozi residents) Paul Hanmer and McCoy Mrubata. 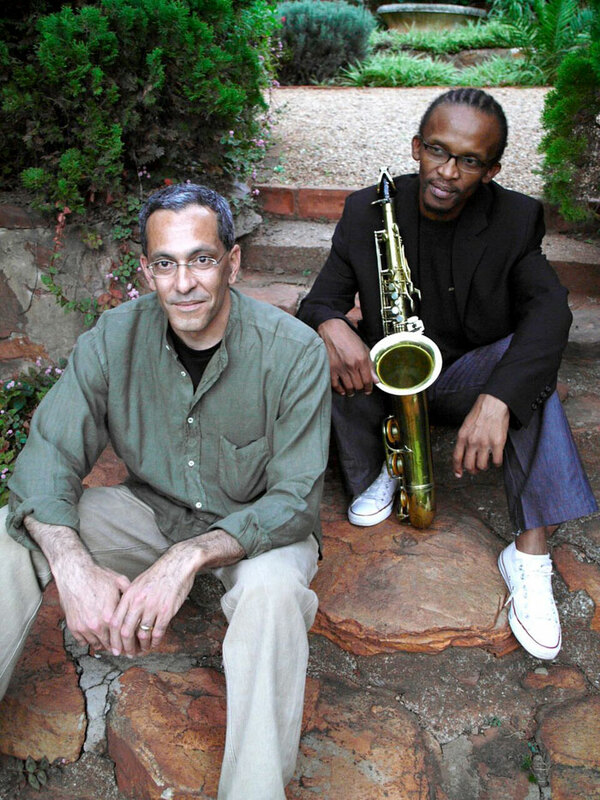 As “younger elders”, these two Cape icons have impacted massively on the SA Jazz circuit, and are headlining the bill. Also look out for Hilton Schilder, who will be joined by Mark Fransman and Claude Cozens. The jazz trumpet skills of Lee Thompson will also feature, as well as The City, fronted by vocalist Bonj Mpanza; Derek Gripper the global traveler and Cape Town homeboy who is reinterpreting guitar sounds from Africa and the world; vocalist Auriol Hays; and finally Topdog SA. What a line-up.